At some point during the writing of a novel, the writer must become reader. The writer reads their work, over and over and over. Eventually, the sentences and paragraphs, the story itself, become so familiar, the writer can’t ‘see’ them properly any more. The writer has two disadvantages. First is familiarity. The writer knows every detail of the story, even details not written down. The writer’s mind fills in the gaps and the poor reader is, perhaps, left wondering. But the reader has experience as well. The writer has to know how much detail to include and how much to leave to the imagination. Sometimes the details the reader fills in make the better story. Have you ever read a book, having a perfect idea of what the protagonist looks like, only to be told, mid-way through the story, he has a twitch in one eye? Second is love. 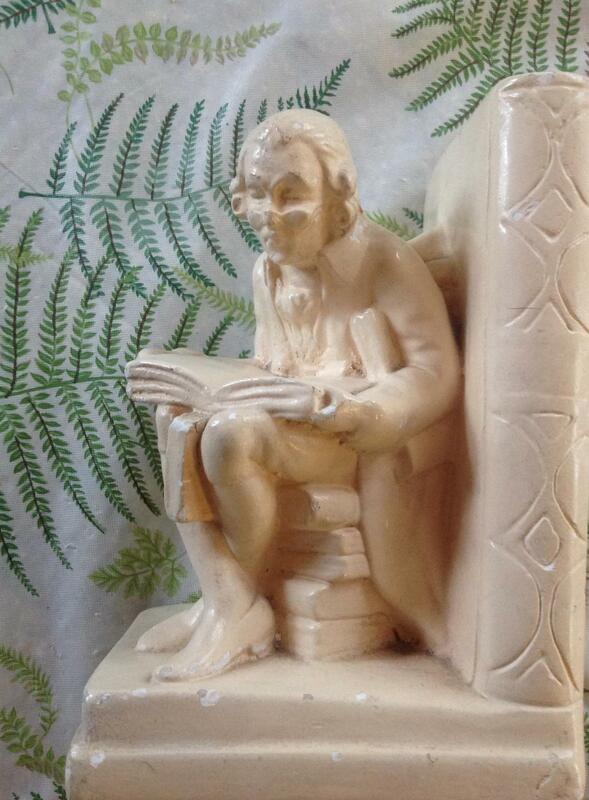 Writers tend to become enamoured of their characters, their stories and their own writing. A description or sub-plot or character may take root and grow within the novel, even though it has little to do with the larger story. Once written, it is difficult to rip those paragraphs from the whole. Keeping track of word number will help, since it is an objective measure of progress towards a goal. In my novel ‘Crossing at a Walk’ I often write bits that I later remove. Too allay the fear that they will be lost forever, I have a file for a bone-yard – I can always return to this pile in future. I rarely do. ‘Murder your darlings‘ (Arthur Quiller-Couch, 1914). 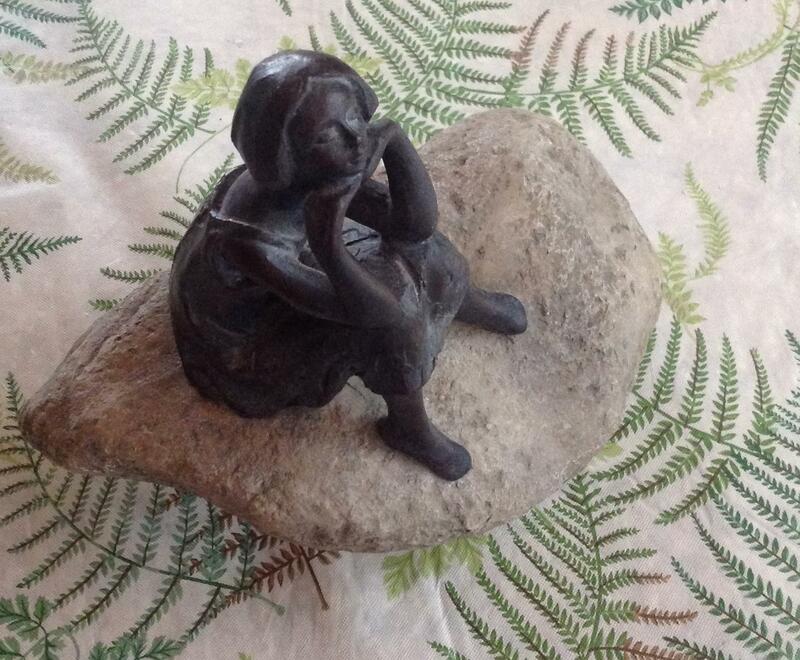 This young lady never reads … she just sits among the potted plants and dreams. The writer must also consider the questions the reader is asking as he or she reads the book. If the book hints at a problem or something that needs resolution, the reader will watch for an answer. For example, if a character mentions she has heard a cousin is coming to visit, the reader will wait for the cousin to arrive. If the cousin never shows up, the result may be a disgruntled reader. I read my book, cover to cover, at every draft. I also think it’s important to read it aloud at some point, once the story is complete. 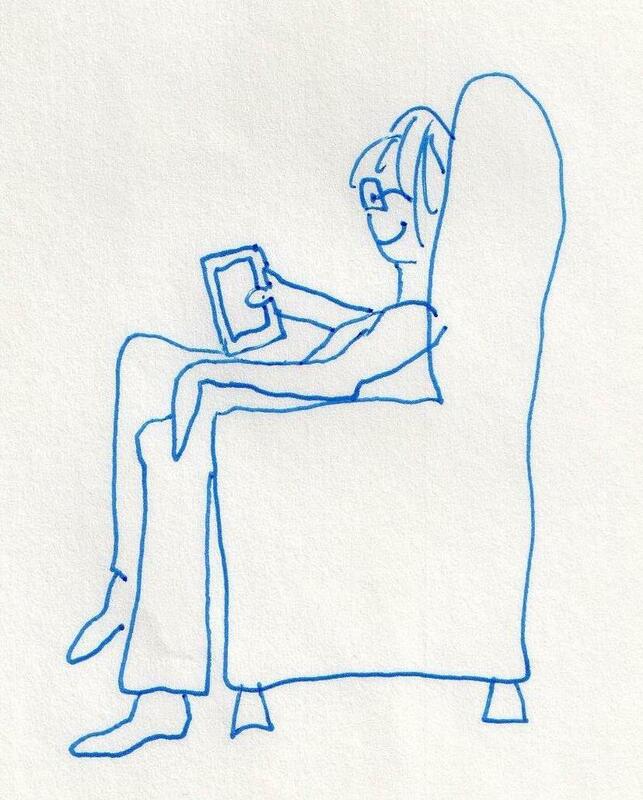 Reading aloud to another person will give the writer some feedback. The act of hearing the word spoken will also suggest problems with rhythm, word choice or continuity. 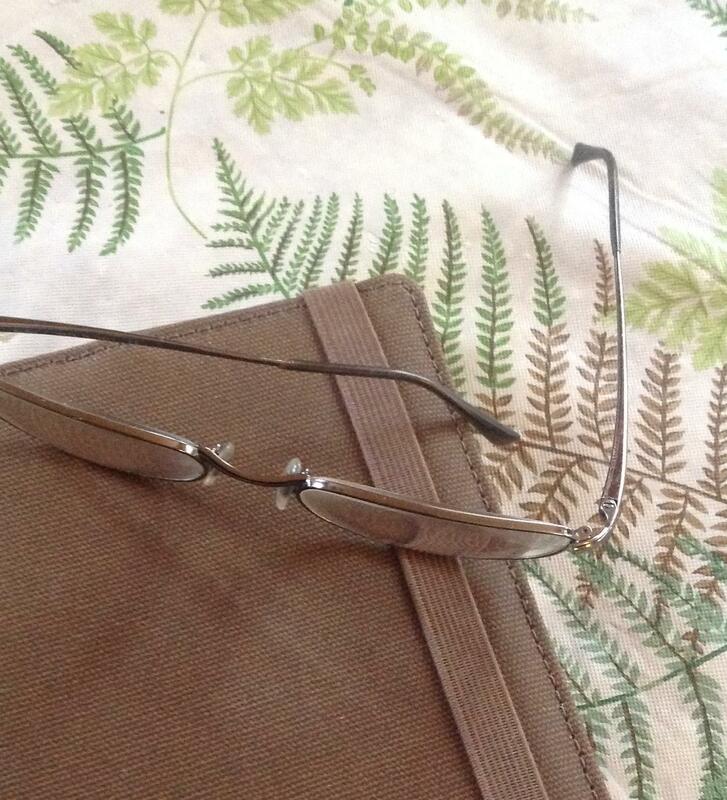 I read aloud to my husband and to the members of the two writing groups where I am a member. In the end, the writer cannot be an objective reader. Every writer must find a test reader, someone who will provide honest feedback on characters, plot and story, as well as editorial advice. 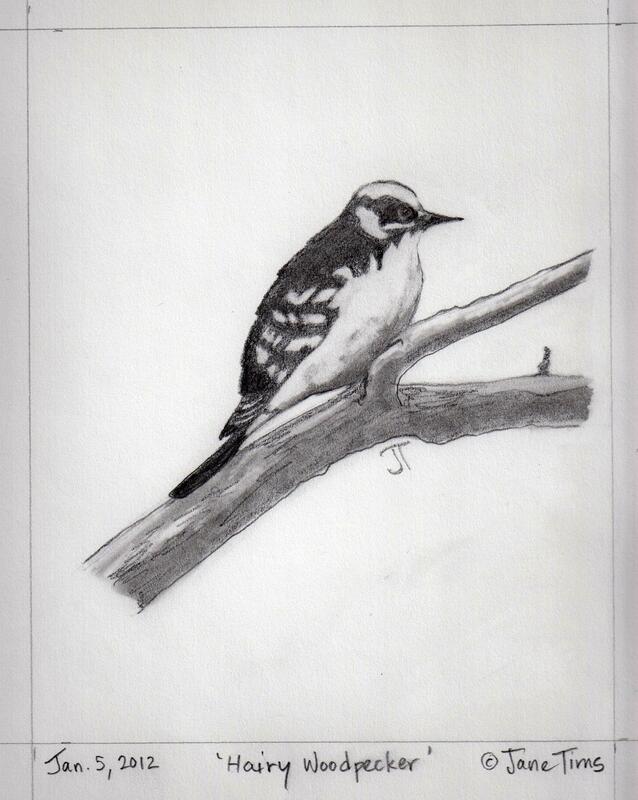 Woodpeckers are common in our area. Both Downy and Hairy Woodpeckers visit our feeders in winter. 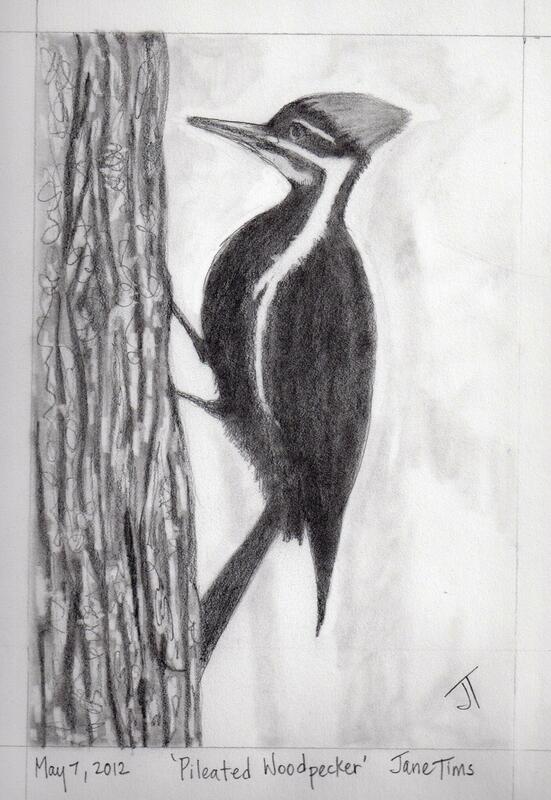 Pileated Woodpeckers hammer on our trees in summer, their flaming heads a blur as they excavate dead trees for insects. 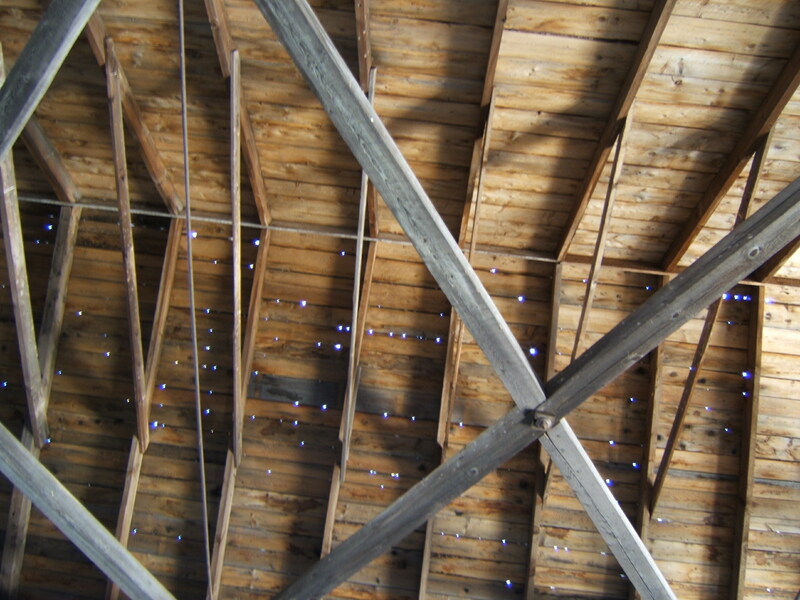 Woodpeckers don’t confine their tapping to dead trees. I have seen them pounding on telephone poles, metal roof flashing and even the shingles on the side of our house. 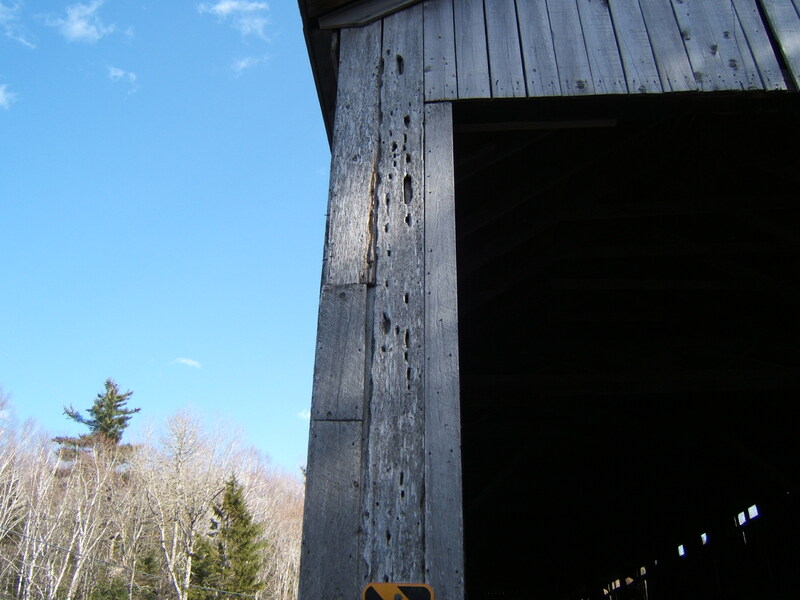 Do woodpeckers excavate the wood of covered bridges for food? 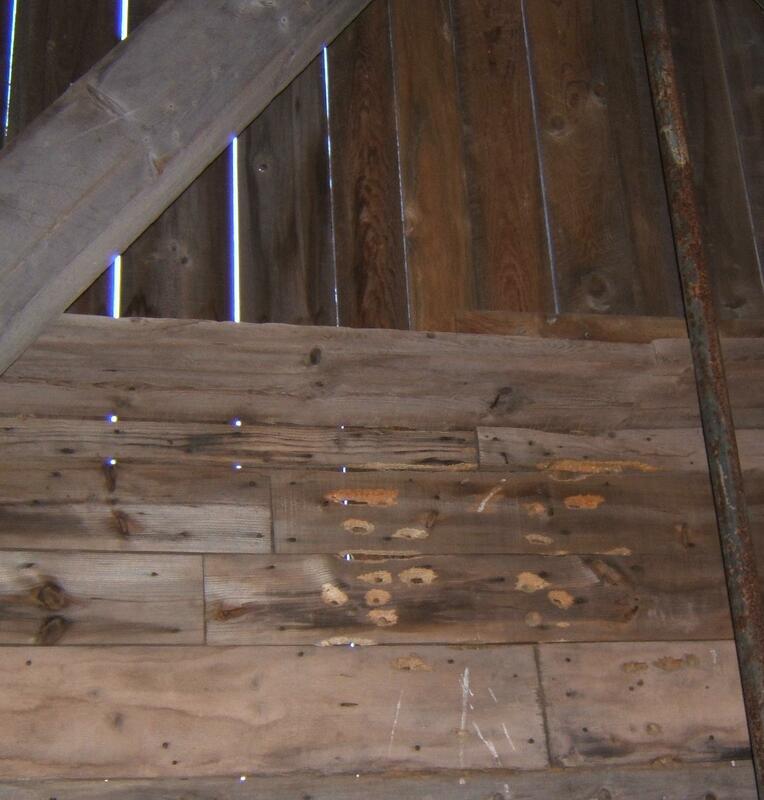 old woodpecker excavations on the face of the Bell Covered Bridge near Juvenile Settlement, Sunbury County (April 2015). 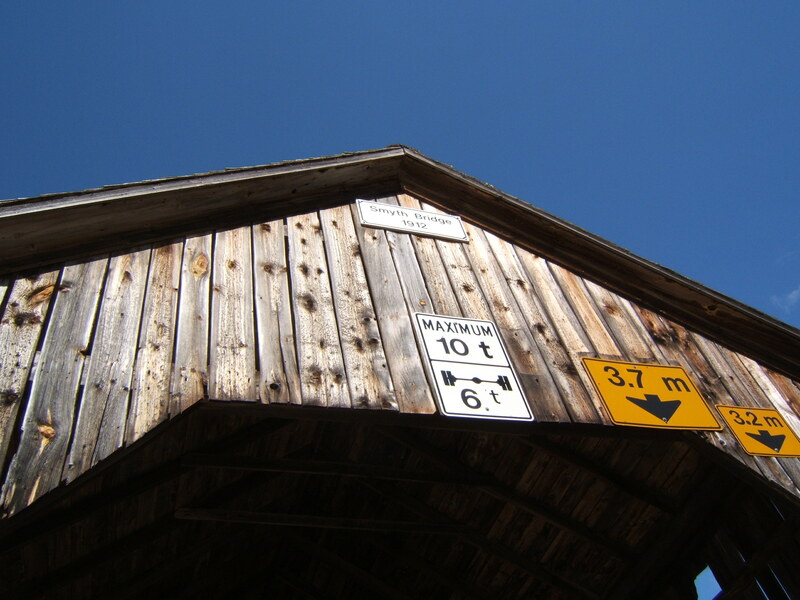 I would love to be in a covered bridge when a woodpecker comes to play his staccato song. 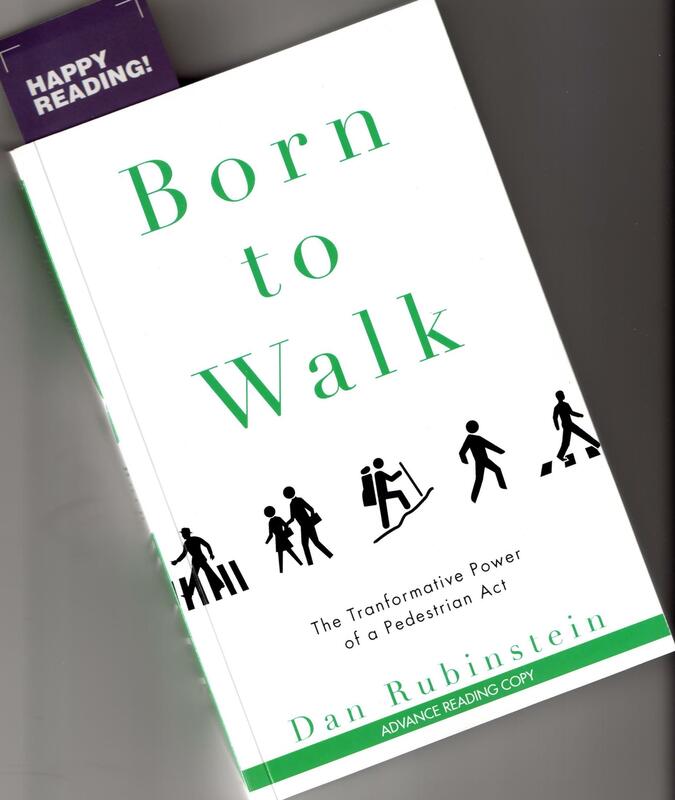 As I work on the Forth Draft of my novel ‘Crossing at a Walk’, I need to consult reference material. I check the correct spelling and meaning of words, odd bits like ‘is Tim Hortons coffee spelled with an apostrophe?’ (no, it’s Tim Hortons coffee), and technical information such as the correct name for the shape of the windows of the Landing Church (‘Gothic with extended legs!’). 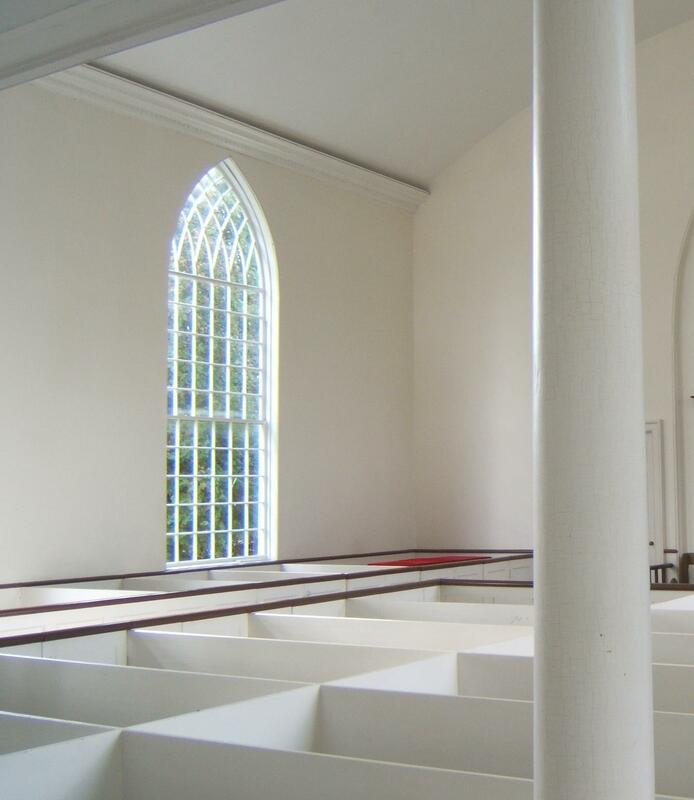 The windows in the Landing Church are referred to as ‘Gothic with extended legs’. 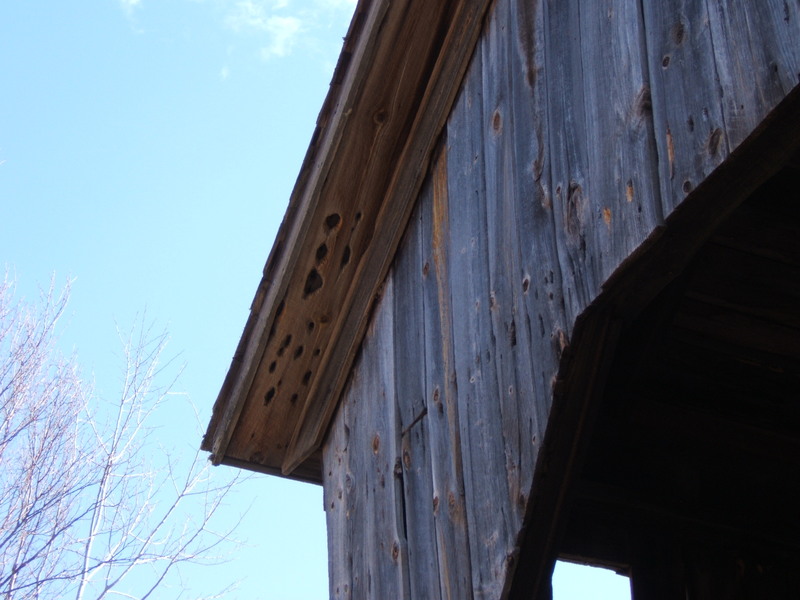 This is an old church in Upper Canada Village in Ontario. I also keep a project-specific ‘guidance document’ (a ‘concordance’ or ‘style guide’) to make certain I am consistent about how I deal with people, objects and conversations within the text. 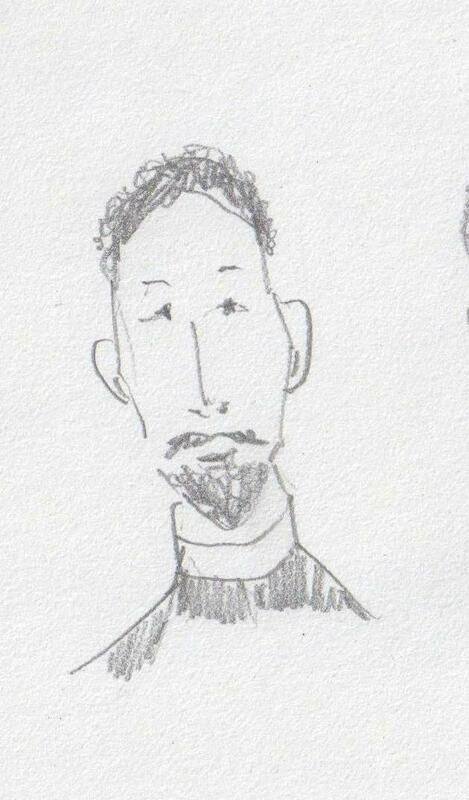 One of my main characters is Oliver, the former minister of the Landing Church. My ‘guidance document’ reminds me that Oliver always says ‘graveyard’ rather than ‘cemetery’. A ‘guidance document’ is a useful tool to prepare from the beginning of writing a longer piece of fiction. It provides a set of rules to follow, to help me remember how I have previously dealt with many aspects of the book. In dialogue, it tells me if a particular character uses the word ‘dinner’ or ‘supper’. It reminds me that I put all business names in italics. It tells me to use ‘towards’ instead of ‘toward’ (the words are interchangeable and I often can’t remember which of the two I have typically used). It means I don’t have to remember the title of Sadie’s university thesis: ‘Consideration of the Contribution of Writers to the Field of Cinematography’. It also tells me details about the characters: Pat has a brother; Minnie has bright red hair; Reid’s best seller was titled ‘No Small Truck’. Some of the items I will only ever use once. Often I have to look up information again and again, so I keep my ‘guidance document’ file open whenever I am working on the novel. Matt Cromwell is a theatre student participating in the first writing weekend at Sadie’s writing retreat. The ‘guidance document’ reminds me Matt’s eyes are blue, he is 24 and he is a star-gazer in his spare time. You may wonder why I would forget these things. Some items ensure consistency between my two books. In dealing with 70,000 words and 33 characters, I don’t need to keep everything in my head if I keep my ‘guidance document’ up to date. 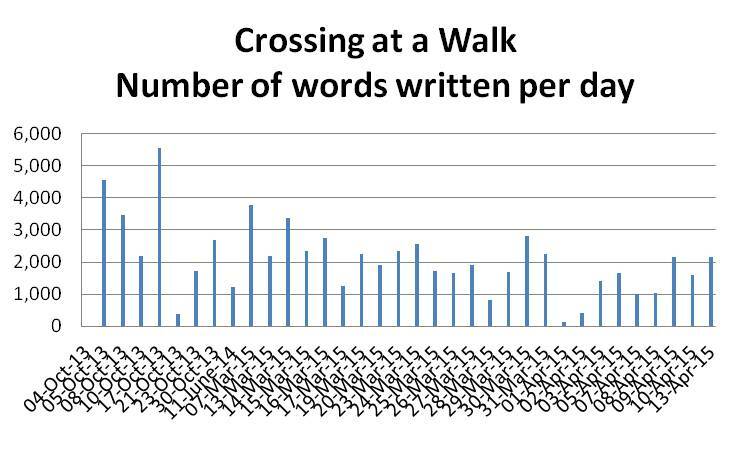 I have reached Draft Four of my novel ‘Crossing at a Walk’ and the story is all told. I want to see how I reached my current word count of 78,598 words, so I have created some graphs showing my progress. I began in 2013 with 8 days of writing. I did a little more on one day in 2014. And this year I have worked steadily since early March. My daily writing goal was 2000 words, as Stephen King recommends in his book On Writing (Scribner, 2000). 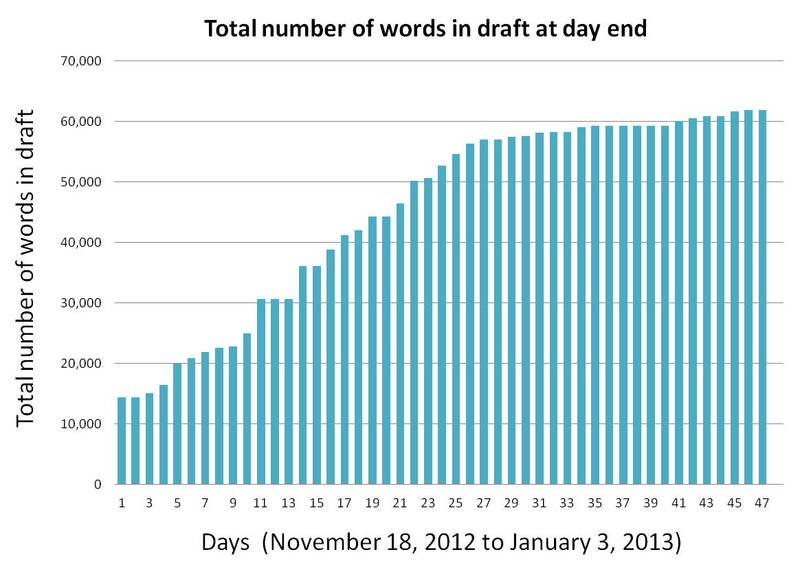 I was quite variable in the number of words written each day. Early in the writing, in 2013, I had three very productive days when I wrote more than 3000 words. 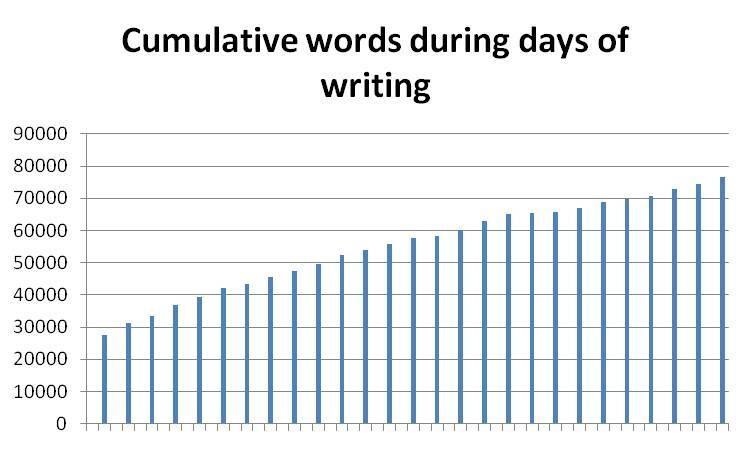 A graph of the cumulative number of words shows I was steady in my progress. Now, with editing, the total number of words should stay steady, or decrease. If I compare this to my progress during the writing of ‘Open to the Skies’ (‘Saving the Landing Church’), my progress was similar. You can see below where I began editing, at about 25 days. For this book, it took 27 days to reach this point. the daily number of words is a tangible record of progress and for me, a reward at the end of the writing day. the cumulative number of words shows me how long the book is getting; may aim is for less than 90,000 words, usual for books of the type I am writing. I report the number of words I have written to my husband, keeping him ‘involved’ and making him extra joyous as the day comes when I will read my book to him. For your writing, do you have an aim for your daily number of words? I have completed Draft Three of my novel ‘Crossing at a Walk’. The entire story is there. If I add more ‘story’ now, I will only confuse my plot and my readers. Next I have to concentrate on honing every sentence, including dealing with the oddities I allow to creep into my writing. 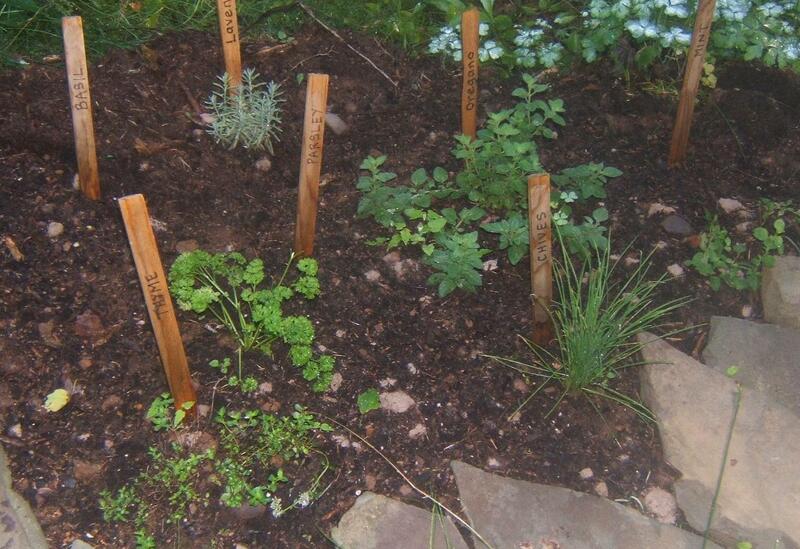 As if I am growing a garden, I have to find and pull out the weeds. writing in the passive voice. using the word ‘that’. I never use ‘which’. 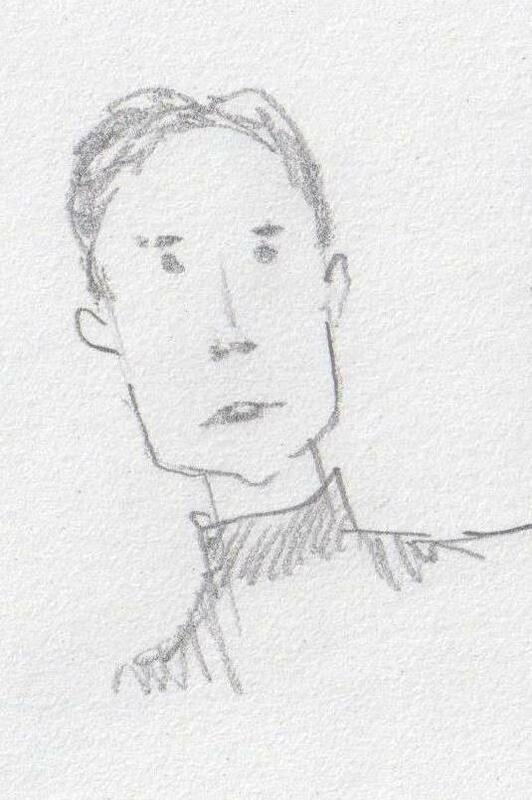 using adverbs, although I (quickly) drilled this one out of my system. repeating the same word in adjacent lines or adjacent paragraphs. using phrases like ‘she stood and … ‘, ‘I opened the door and …’ , ‘I looked at her and …’ – I sometimes tend to breathe for my characters! using colorless words like ‘felt’, ‘drove’, ‘went’, ‘wondered’, ‘just’ and so on. putting two spaces after every period – I learned to type on a typewriter! I also have to do careful editing with respect to tense and person. I tell Sadie’s story in the third person and past tense. Tom speaks in the first person and present tense. 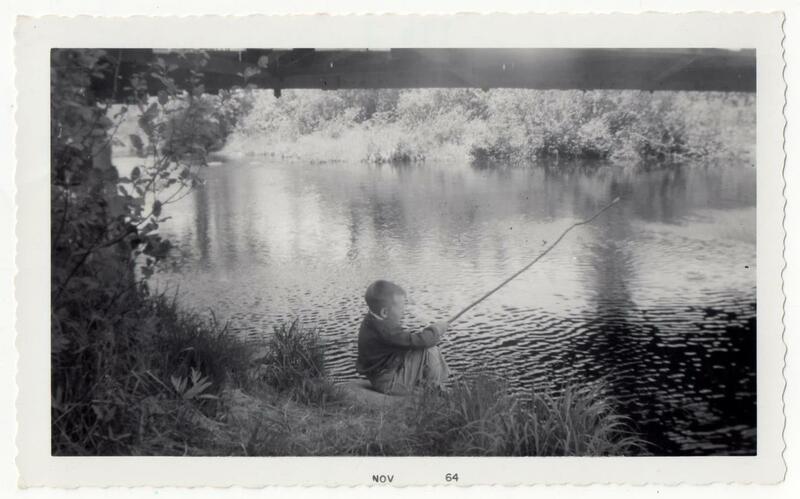 I also have an angler who likes to fish just below the covered bridge and always speaks in the second person (something new I am trying). My husband is not looking forward to the completion of Draft Four. It ends with me reading him the entire novel, chapter by chapter, every evening, an hour before ‘Coronation Street’ on TV. Until we finish. Poor fellow.